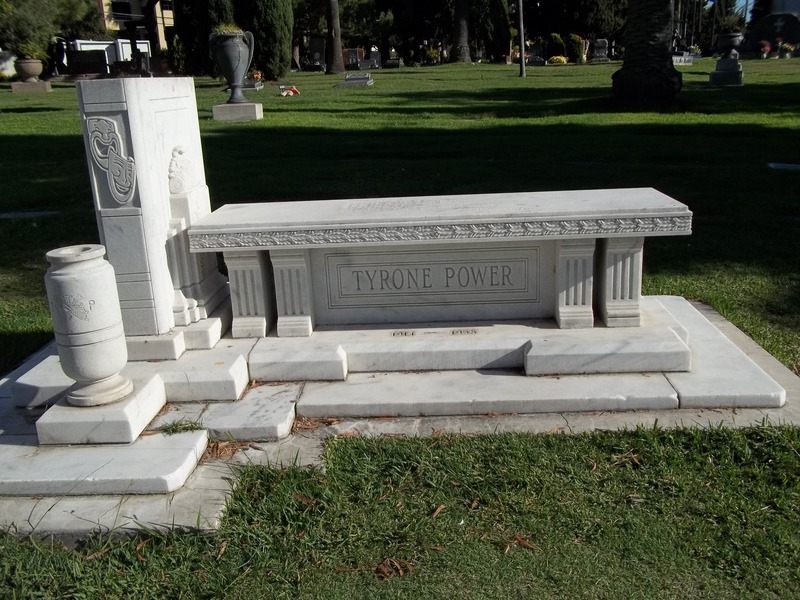 After spending the afternoon at the Paramount Theatre on the Paramount Pictures lot rehearsing for Film Outside the Frame 2012, I checked out Hollywood Forever, which is just around the corner. 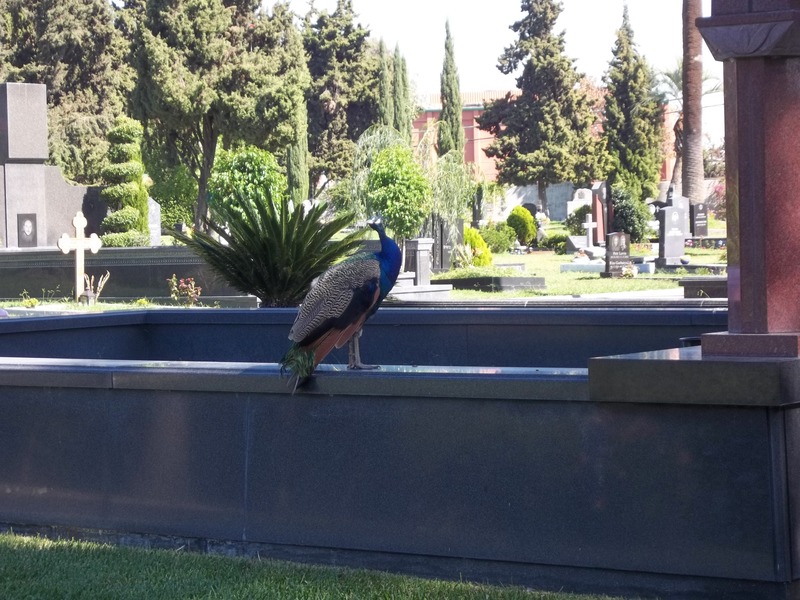 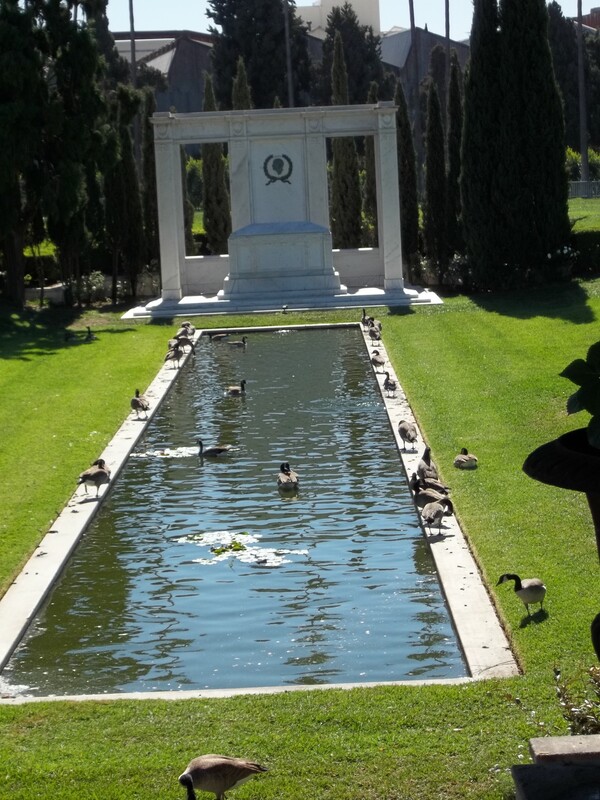 Paramount Studios was actually built on the back half of the original Hollywood Memorial Park Cemetery. 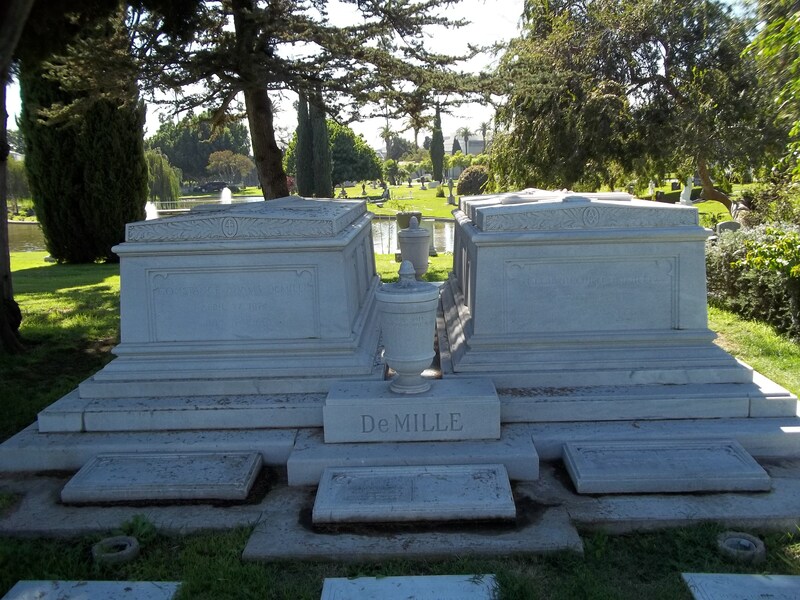 The cemetery was founded in 1899 and is the resting place of more Hollywood founders and stars than anywhere else on earth. 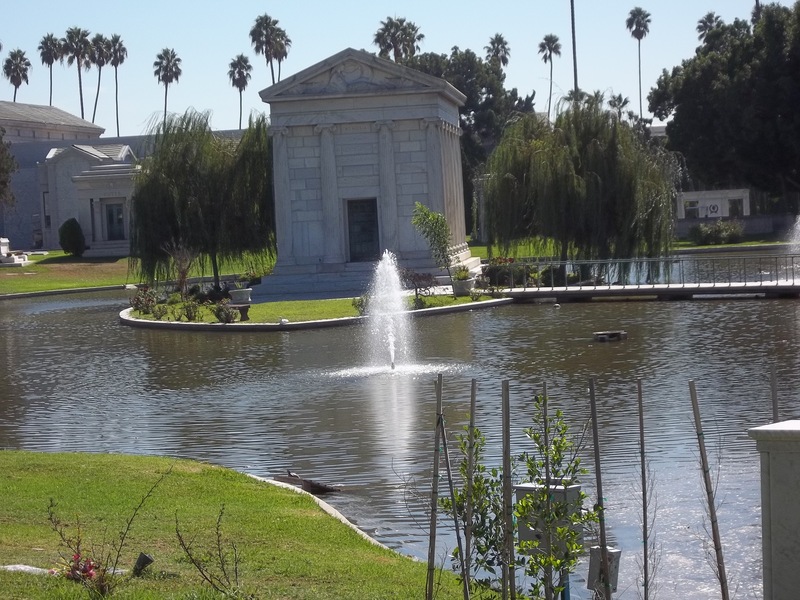 The other interesting fact about Hollywood Forever is that films are screened there on weekends during the summer, drawing over 3,000 people who bring beach chairs, blankets, and food. 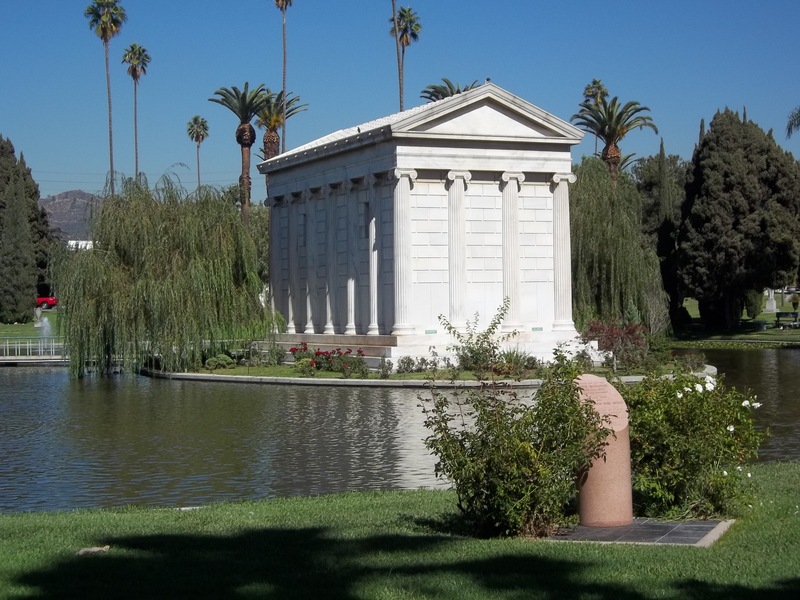 They sit on the Fairbanks Lawn to watch films, projected on the white marble wall of the Cathedral Mausoleum. 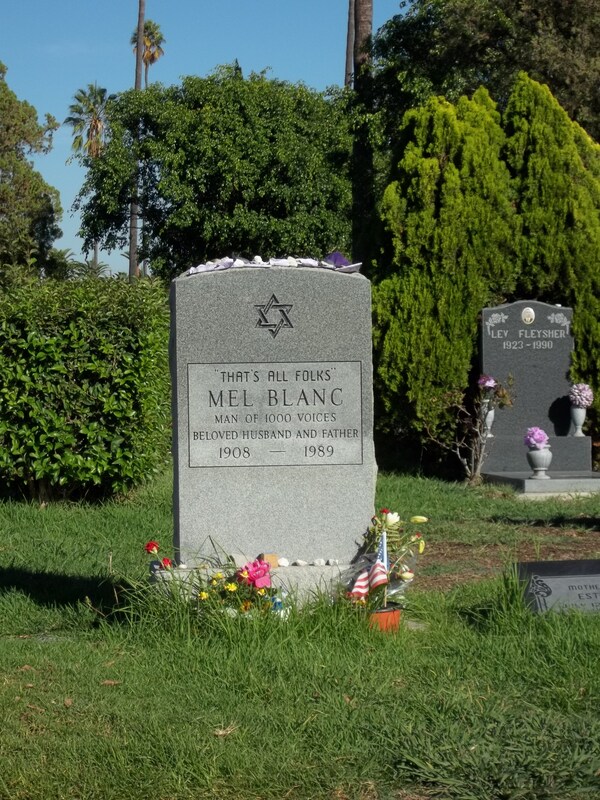 The park also hosts a diverse lineup of music and cultural events — for instance, Flaming Lips, Dusted/Perfume Genius, The Melvins LITE — not to mention this year’s 13th Annual “Dia De Los Muertos” and some hellacious “observances” of Halloween. 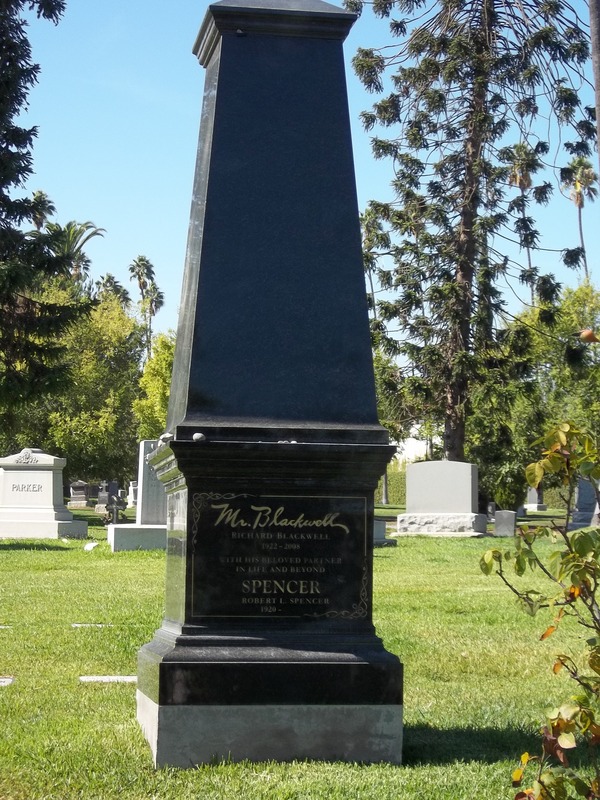 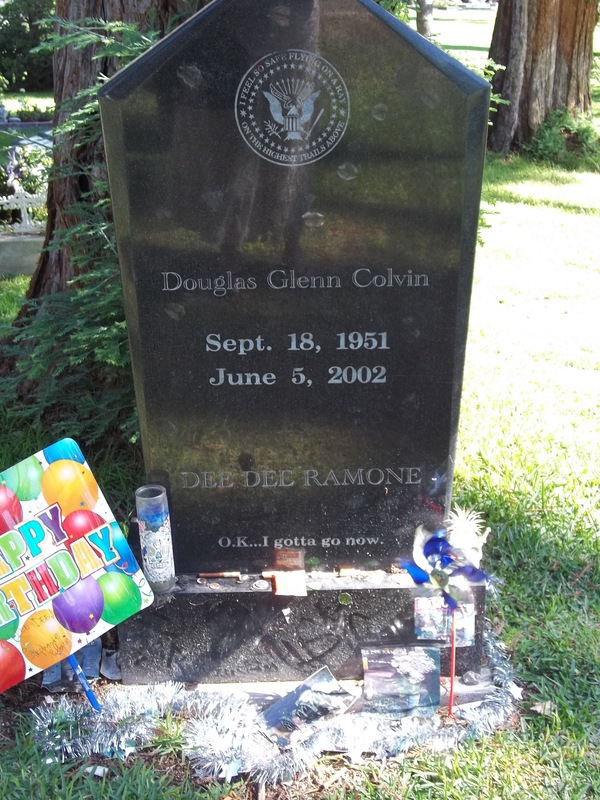 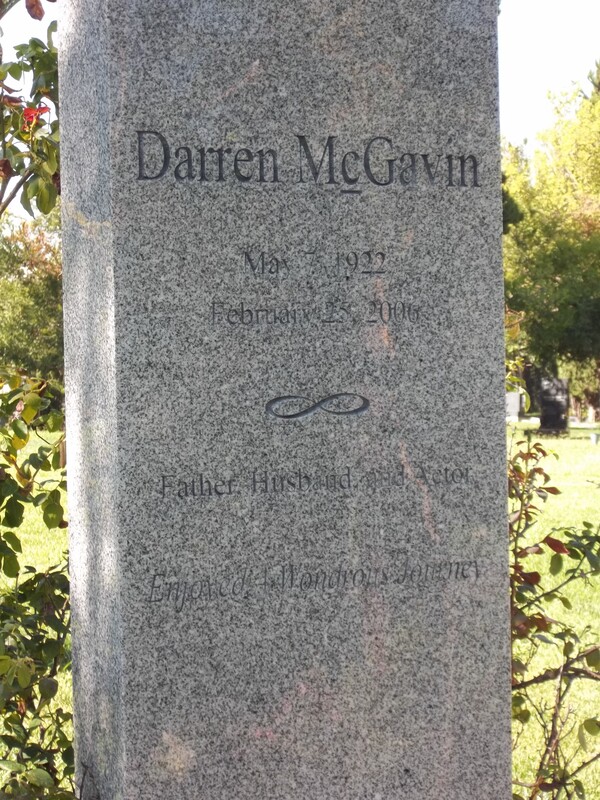 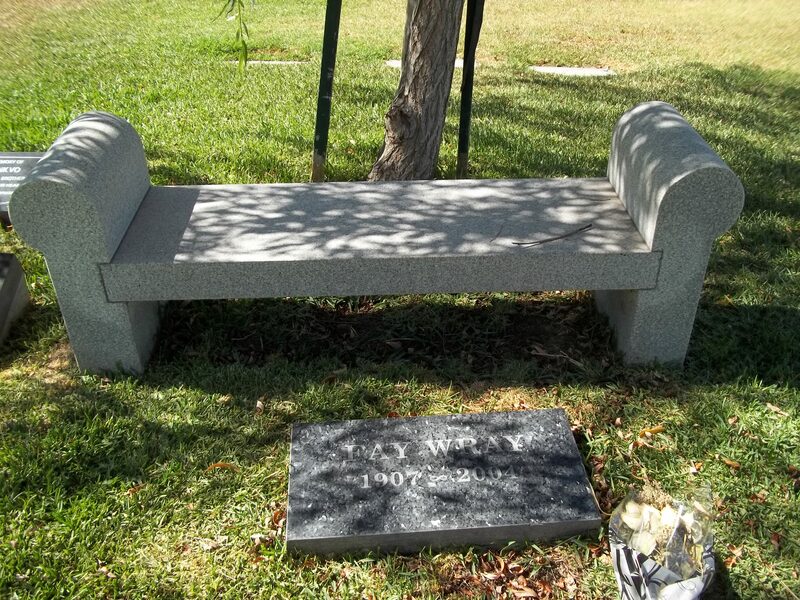 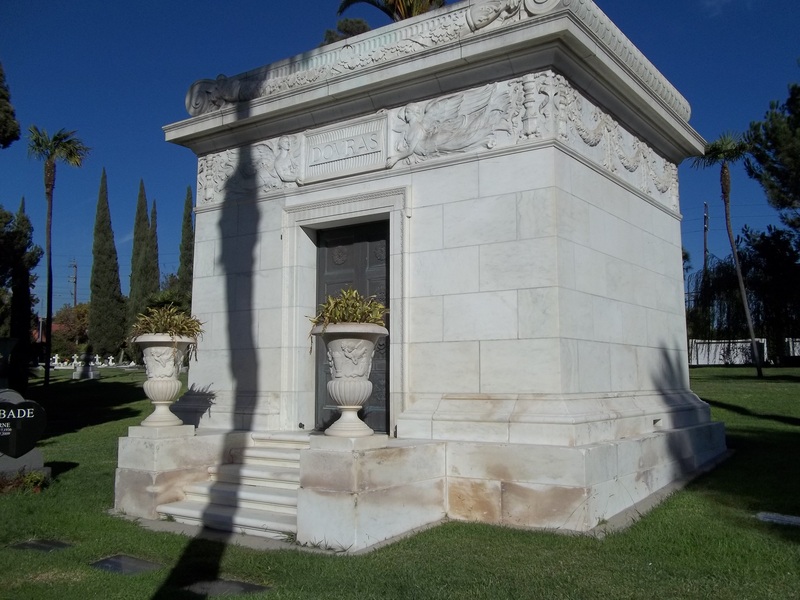 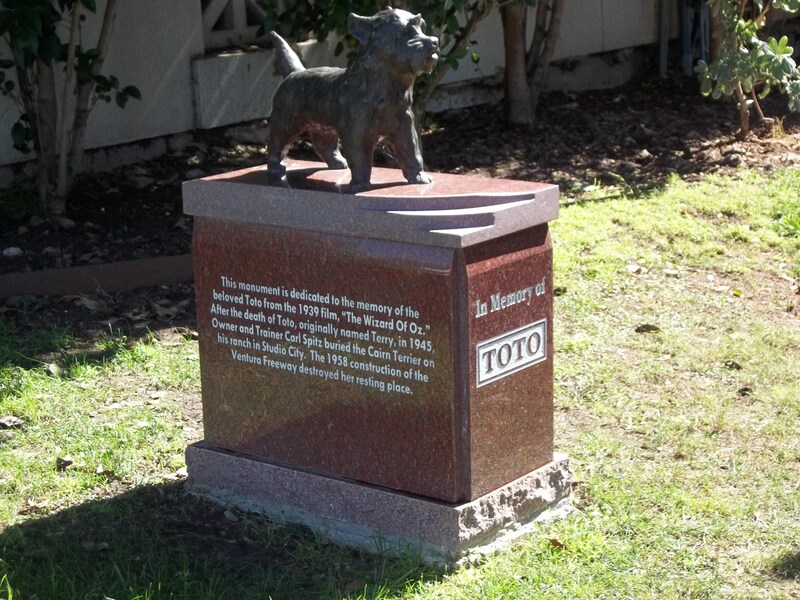 When I got to the cemetery I didn’t have much time because I had to get back to LMU for a screening of Shoot That Rat!, but here are pictures of some of the legends interred at Hollywood Forever. 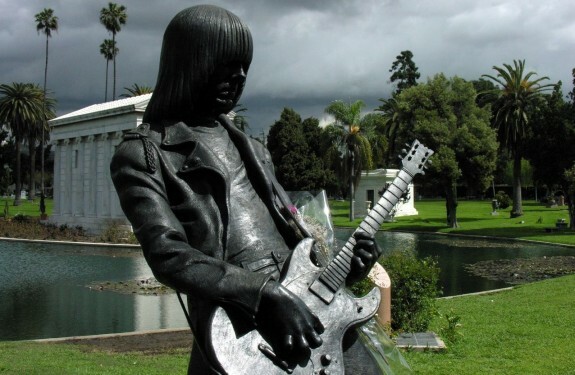 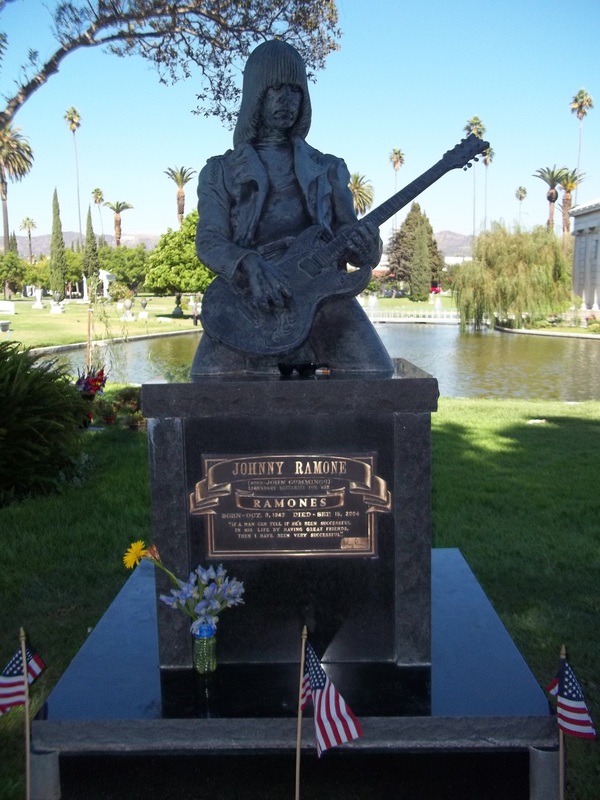 Can’t say I’m real big on headstones, but I have to give props to the family of punk rock legend Johnny Ramone — his final resting place is marked by the most awesome bronze statue of him rockin’ out you’ll ever see!